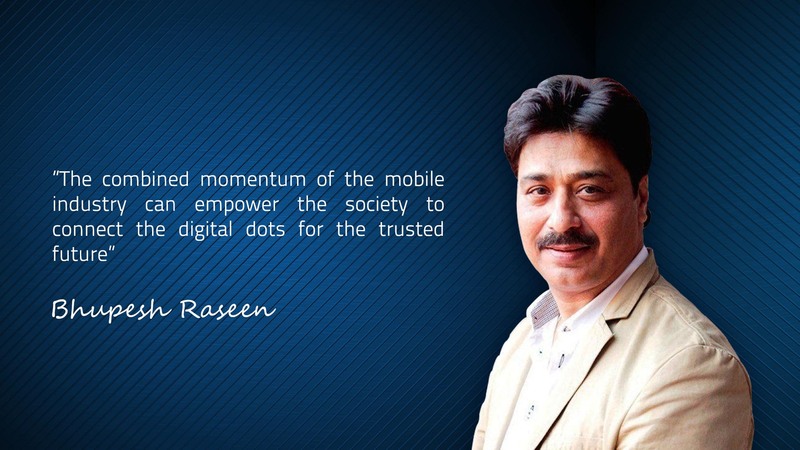 The Mobile Association recognizes the nomination of Mr. Bhupesh Raseen as Chairman-Mobile Advisory Committee. Mr. Raseen has been recognised for his contribution for Indian Mobile Industry. The Mobile Association recognizes him for excelling professionally through Innovation, Perseverance & Leadership which are part of the core values which Mobile Industry needs. This is an honorary and indeed a prestigious nomination. He is by way far Mobile Industry Leader and has gained a lot of respect and admiration for his leadership role in the Industry. Mr. Raseen is a top management level professional having vast experience of 28 + years. His key skills includes Government Relations, Corporate Affairs Business Development, Sales & Marketing, Exports, Foreign Collaborations, tie-ups to name a few. He has managed several Foreign Collaborations & tie-ups with various companies from Finland, Germany, USA, Japan, and China. He has built vast network & in road relations with top Bureaucrats & Politicians of across political parties for various projects and driven business development through new innovative ideas. He has established excellent relationships with various State Governments including Maharashtra, Goa, Chhattisgarh, Telangana, Andhra Pradesh and more for facilitating various benefits & incentives for Mobile Handset Manufacturing. He has been a key player for business strategies for Mobiles in Africa, Middle East & other international markets. Bhupesh Raseen has graduated from Delhi University. He has also qualified the professional training programme on Manufacturing and Marketing Management from F.O.L., New Zealand. He has mastered the training programme on Excellent Customer Service from Auckland Regional Chamber of Commerce and Industry, Auckland, New Zealand as well.